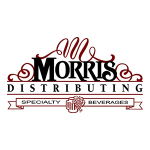 Morris Distributing is one of the largest specialty beverage distributors in the San Francisco Bay Area. Serving Marin, Sonoma, Napa and San Francisco counties for over a decade, Morris Distributing prides itself on quality products, quality service, and free on-time delivery service. 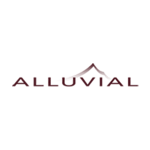 Alluvial Wines, Inc. wholesales and brokers a unique portfolio of artisan wine producers from around the world. With a network of distribution centers throughout the Bay Area, most of their wines can be delivered in most areas of California next day. ACME dispensing services is your commercial line maintenance specialist. Whether you're setting up draft beer for your office parties or in need of line maintenance services, you'll find that our service is second to none. FEED Sonoma's mission is is simple. They aim to create a vibrant, sustainable, and fair food system by maximizing the ability of small farmers to sell their food through diverse marketing channels.